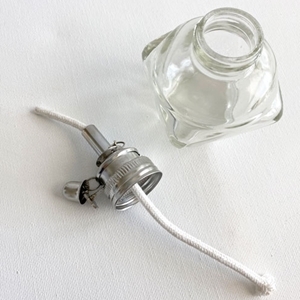 Our alcohol lamp is a "must-have" accessory for any sculptor working in wax. Used for heating the tips of wax tools when modeling in hardened wax and detailing wax sculptures prior to mold making and casting. Includes bottle, screw top, heavy duty, long lasting, thick single wick, and, for additional precaution, a ceramic stopper to hold the wick.